"Great course. Really gave me an indepth understanding of the whole area of addiction studies. It's great as a first step in the process of gaining employment in the addiction field. Looking forward to learning more about it all now. Sean was a brilliant lecturer, really made everyone feel at ease and we all learnt so much from him"
"Sean was great at the course. He really knows his stuff. I was always very interested in what he had to say and would be very interested in doing another course with him"
"The course was very interesting and well structured. I've learned a great amount"
This course is delivered using blended learning; combining 8 sessions of classroom based learning with weekly online forum discussions. This QQI Level 5 Community Addiction Studies course is a Component Certificate or module at QQI Level 5 of 36 hours duration delivered part time over 10 weeks. The programme is delivered as a part time course consisting of 24 hours face to face learning with another 12 hours online contribution/discussion time. A total of 36 hours contact time between student and lecturer. A further 30 hours of self-directed learning is recommended for successful completion of the module by the learner. Students must attend at least 80% of the classes and complete all the necessary assessments in order to be eligible for certification through QQI. The online element to the course which will be in the form of a discussion forum. This forum will be open for the entire 10 week period and students will be expected to contribute to the discussions as posted by the tutor every week, this will account for approx 1.5 hours in total each week for the 8 weeks. QQI Level 5 Component Certificate in Community Addiction Studies. 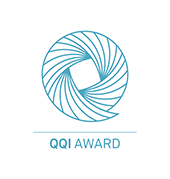 This component certificate can be combined with other Level 5 Minor Awards or Components to achieve a QQI Level 5 Major Award in Community Development or QQI Level 5 Major Award in Youthwork. Students will receive handouts and relevant literature to enable them to develop their understanding of addiction studies appropriate to this level. In each session students will have the opportunity to observe and discuss the various categories of drugs and the effects that addiction may have on the family and community. To build on and expand existing knowledge in relation to addiction studies within the group. To enhance confidence in participants in relation to their understanding of addiction studies and the process of Addiction. To allow space and time for participants to look at Addiction at a community and social level and examine the drug using trends that exist in Ireland and internationally. All materials on the QQI Level 5 Community Addiction Studies course will be provided online for download by The Learning Curve Institute. No books need to be bought for this course. Please contact The Learning Curve Institute on 098 25530 or info@thelearningcurve.ie if you require any further information on the QQI Level 5 Community Addiction Studies Component Certificate. To book a place on this course please click on the Book Now tab of this website and book online with a debit or credit card. The course fees can be paid in full or in 2 installments - a deposit of €200.00 and the balance of €199.00 paid a minimum of 1 week prior to course start date. If a student is in receipt of funding please click on the Book Now button and complete the application form with the relevant funding details and an invoice will be issued to the organisation. The organisation must confirm receipt of the invoice and the invoice must be paid within 14 days of being issued.